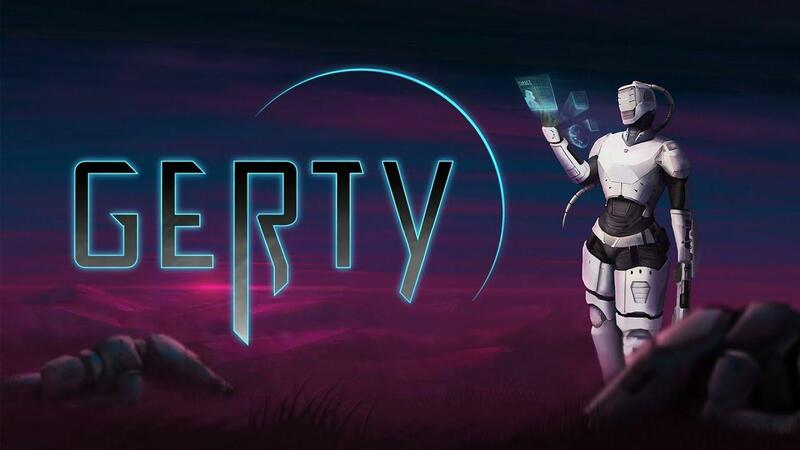 Gerty [Official Site] is a top-down rogue-lite twin-stick shooter that's going to enter Early Access this year, demo available on Linux. Since the developer provided me with an early key, I took a look. I actually really love the idea of this, while we have a lot of shooters this does feel quite different. Actually digging out your path as you progress adds an interesting element to the game, as you've no idea what's coming up when you dig into a new area. Seeing enemies dig their way to you is also pretty damn cool I must admit. The digging element can make it exciting and difficult at the same time. In my second run, I was doing pretty well, until I stayed a bit too long digging for Juice (used to purchase upgrades) when a bunch of aliens came at me, I ended up backing myself into a corner as aliens were then also digging towards me from behind and so I went out in a blaze of glory. I definitely think this is one to watch, seems like it's going to be a lot of fun. I actually went back to it to play some in my own personal time, so it already has my seal of approval. The Linux version works really nicely too. As for the release, Early Access should be available by the end of the year, that's what they're aiming for anyway. It actually has a demo available too, which you can check out on Steam and wishlist too. This looks excellent and ticks the "local co-op" box. Hopefully they release a four-pack bundle when it goes live on Steam. I've wishlisted it for now. Thanks for taking the time to review our game. We're really happy you enjoyed it. Those of you who have strong feelings about DRM will be glad to hear that Gerty will also be release as a DRM-free version on Humble Store.